Chile's Atacama desert is a window into the past. The sky is particularly suited for gazing at the stars, the light from some of which started on its journey towards earth millions of years ago. 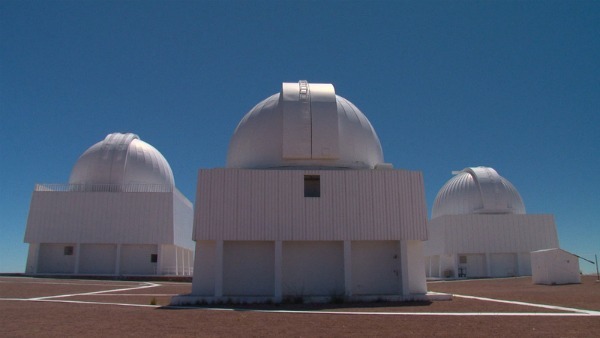 The desert itself is especially hot and dry, preserving the artifacts of Chile's ancient indigenous peoples as well as the bodies of those who were disappeared during the Pinochet regime. 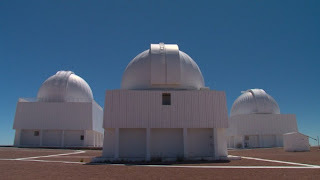 The hills are dotted with powerful telescopes where astronomers look to the sky hoping to glimpse the origins of the universe. In the desert below, archeologists examine prehistoric artwork while a handful of old women still grieving for those they have lost search the barren terrain for the remains of family members. The lucky ones perhaps find a foot inside a shoe that can definitively be traced to a departed loved one. Those less fortunate may be searching in vain, since many bodies were apparently dumped at sea. 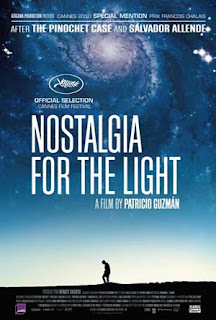 NOSTALGIA FOR THE LIGHT has moments of both great beauty and great sadness. This is not the usual documentary film with a parade of talking heads and film clips telling a linear story or trying to persuade us of its point of view with a litany of cold, hard facts. Instead it takes an artistic approach more concerned with getting at a greater emotional truth. In that sense, it's not unlike some of Werner Herzog's documentaries, or Mercedes Álvarez' recent THE SKY TURNS. 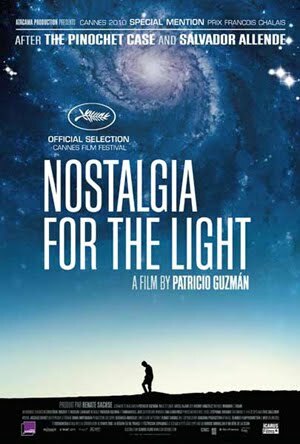 As director Patricio Guzman makes the case in his haunting and poetic documentary NOSTALGIA FOR THE LIGHT, his subjects aren't the only ones looking at the past; we all are, all the time. It takes approximately 80 milliseconds for the light from what we see to be perceived by our brains. It may seem almost instantaneous, but technically by the time we begin to comprehend what is right before us, it has already passed us by. The present is merely an illusion. From a practical standpoint such an observation, while factually true, is irrelevant. But filtered through Guzman's artistic sensibilities, it makes a good metaphor for some of the issues he's trying to get at. Guzman follows a meandering, roundabout path to arrive at his central theme: the reluctance of many Chileans to examine their country's recent past under the Pinochet dictatorship. Guzman isn't strident or hectoring, but rather warm and humanistic as he urges his countrymen to face up to their history and finally bring some kind of closure to this dark chapter in Chile's history. Even those who say the country should simply “move on” can't escape the fact that they are living in the past whether they like it or not. Only by examining that past, learning from it, and coming to terms with it can we move forward into a better future. 4 out of 4 stars.